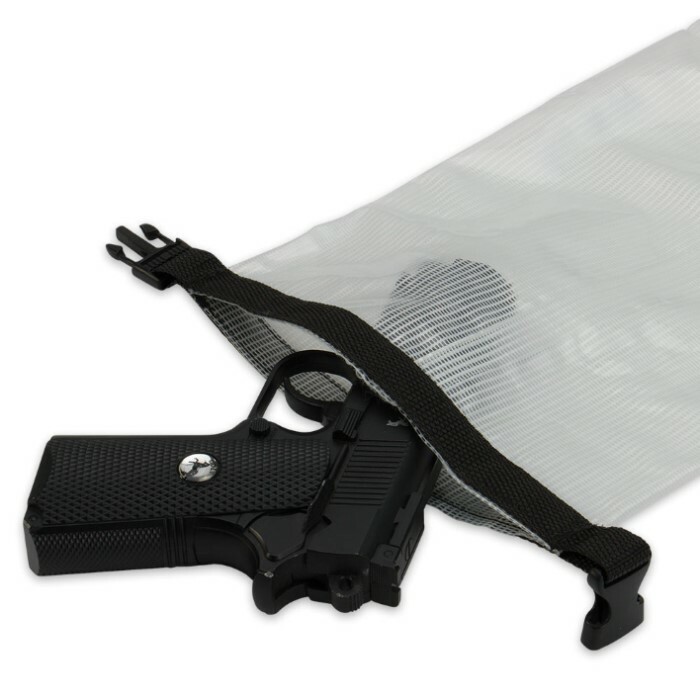 Waterproof Pistol Bag | BUDK.com - Knives & Swords At The Lowest Prices! 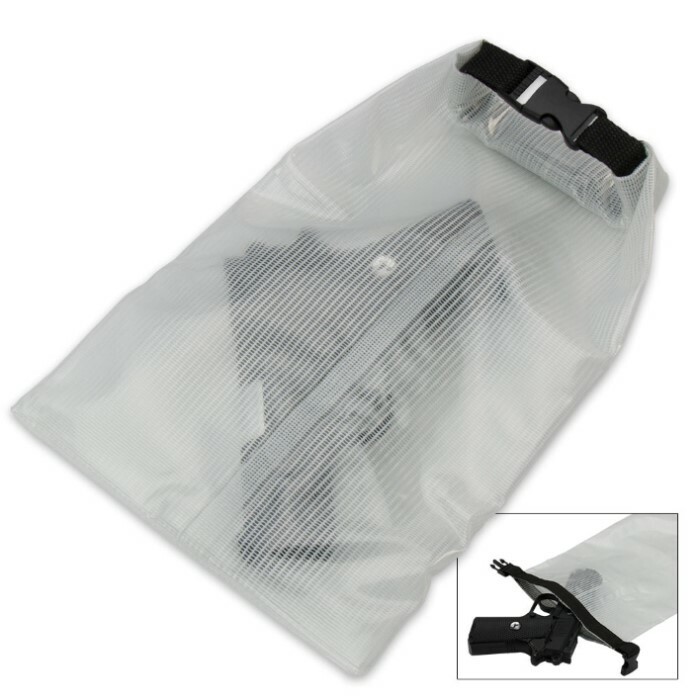 Overall size: 14" x 8 1/4"
Protect your pistol from water damage when you’re storing it somewhere that isn’t climate controlled or has a humid environment. It’s constructed out of waterproof 500D PVC tarpaulin that’s clear. 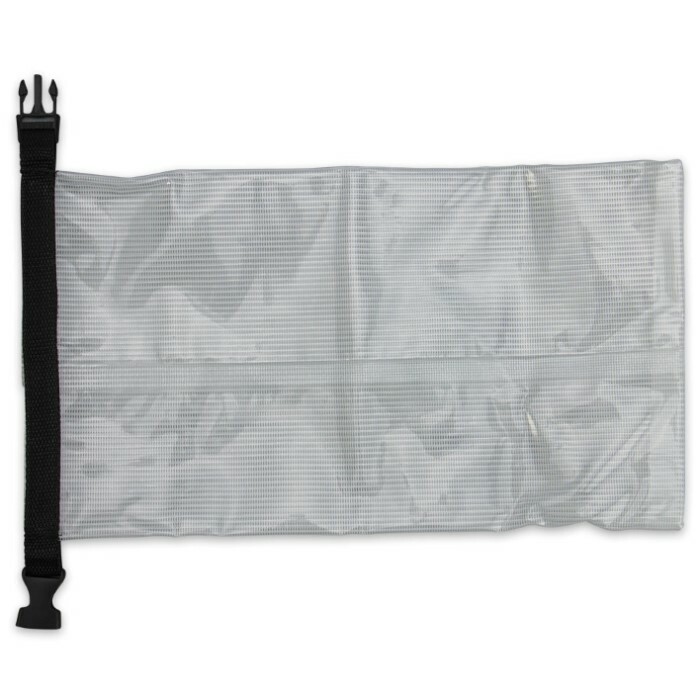 It has a nylon strap with a secure buckle and the opening and when it’s properly sealed, a convenient handle is created. It is 14" x 8-1/4" in overall size.